The need for Family Law to become more accessible to the ‘every day person’ became blatantly obvious for Rachael Scharrer, when in 2012 she became separated and had no idea what to do. Rachael’s divorce was ‘colourful’ – it had the complexities of domestic violence, undiagnosed and untreated addiction and mental health concerns, while trying to protect the two young children from the adversity. She noticed that there was a huge gap between the information that the lawyers knew and what was readily available. Rachael used the lessons from her divorce, the experiences and hardships she went through and founded DivorceAnswered.com.au to help other individuals sail through their divorce with greater ease and cost efficiency than she did. The way that we communicate, purchase goods, become educated, access information and process banking are only a few industries and activities that have adapted to advances in technology. Family Law is no exception to moving with the technology of today. Divorce Answered is an online resource which offers people a range of free and affordable products such as e-books, Separation Checklist, customised forms (such as Parenting Plan, Binding Child Support Agreement and Separation Statement) and articles with practical tips. These items are all unique and can save individuals’ time, money and emotional energy when working alongside a lawyer. The philosophy behind Divorce Answered is to revolutionise how individuals navigate separation and divorce by empowering them with the knowledge and range of options available, whilst being time and cost efficient. 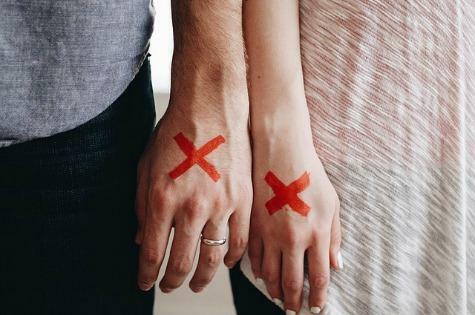 There is a growing number of people self-representing through the divorce process and in court. The number of people who can afford a lawyer full-time or ‘on tap’ is limited and there are increasing demands for Legal Aid, yet so many don’t qualify for the Legal Aid requirements. throughout the divorce process and tricky questions or situations arise which is where a lawyer is of great assistance. “Nothing replaces the advice of a lawyer who knows your situation in detail. However, arming yourself with relevant knowledge allows you to be proactive and feel more comfortable and in control of the whole process,” says Rachael. For instance, a family lawyer costs between $350 and $600 per hour. By the time a client briefs their lawyer, the lawyer writes the Parenting Plan or Binding Child Support Agreement, reviews the document, makes the changes then prints, has it signed by the client and lodges at court, it could easily have consumed seven and a half hours. This means that the document was created at a cost to the client of $2,625 to $4,500. Divorce Answered offers these customisable documents for $149 each with unlimited changes. This is a massive saving for the client, many whom are facing uncertain financial futures. need to know more about. Better still, your family lawyer will be able to offer more informed advice. Equally, the ‘how to best separate’ e-book series is power packed with tips, considerations and guides for individuals to either implement themselves or enquire and drive their lawyer. Additional e-books will be added to the website in the coming months. Lawyers and legal professionals benefit from Divorce Answered’s specialised tools by retaining more clients for longer throughout their divorce process (without affecting their overall income), offering clients more flexibility and options to work alongside their chosen professional as well as being better able to work within a client’s budgetary constraints. DivorceAnswered.com.au is revitalising divorce by embracing technology to empower separating individuals, creating a tool that lawyers can rely upon for their clients and allow individuals to be a proactive participant in their divorce. For more information, visit www.divorceanswered.com.au.